Over 1,300 craft beer selections with 34 craft beers on tap. A cozy wine room with over 1,000 labels to take home or drink here. Our Tasting Lounge features Mead, Scotch & Bourbon. 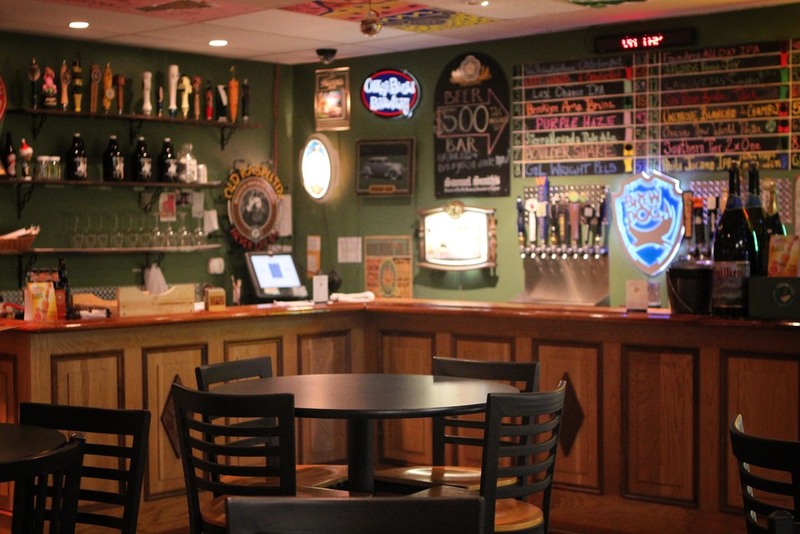 Our Diamond Bar features $5 drafts & live music. Enjoy our Fireplace Room for a more intimate experience. Incredibly fresh, hand-stretched flatbreads created to your liking. Happy Hour is every day from 3-7pm with wine & beer discounts. We are Vintage Estate Wine and Beer, also known as the V.E. Located in Boardman, Ohio, just a short drive from both Cleveland and Pittsburgh! Our intimate store currently houses over 1,300 craft beer labels and over 1,000 wine labels! The inventory at Vintage Estate keeps growing! In the V.E. Tasting Lounge, we have the areas only mead bar! We serve single malt Scotch, have a rotating wine bar and 34 craft beers on-tap! At Vintage Estate, you can taste while you shop and shop while you taste! What a great concept! In addition, our kitchen staff takes great pride in preparing delicious beer malted hand-stretched flatbreads. Subscribe for new product announcements and events! Shop while you taste, or taste while you shop! Over 1,300 craft beers labels. Over 1,000 wine labels. Unique delicious craft beer on tap. The V.E. has the area’s only mead bar (fermented honey) and a huge selection of single malt scotch & bourbon. Enjoy the comfort of our fireplace room with your friends or family!